DraftKings is one of the two major Daily Fantasy Sports providers in the US. Offering various contests for beginners and serious players, from all the majors sports like NFL, NBA, MLB, NHL, PGA and man other growing daily fantasy sports. DraftKings is one of the two major Daily Fantasy Sports sites in the US. If you are unfamiliar with Daily Fantasy Sports, it is the same concept as Fantasy Sports Leagues, except that you can choose a different roster everyday, instead of being tied to a roster for a whole season. If you make a mistake during drafting, it will only affect you that one day in DFS, unlike in season long Fantasy Leagues where a bad draft, injuries or trades can derail your chances of winning and take the fun out of it. No need to worry about all that, as everyday is new day and another shot to show what you learned from yesterday’s mistakes. 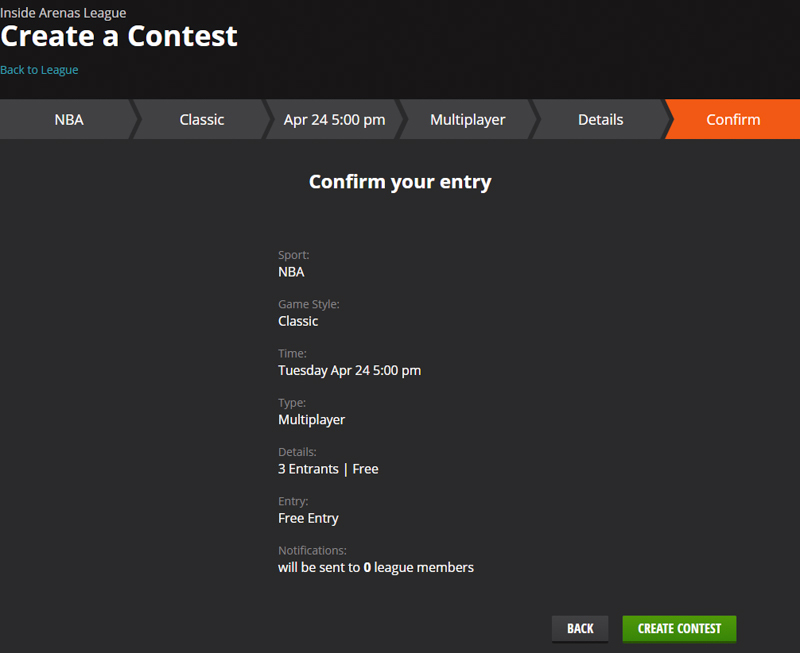 DraftKings offers free contests everyday that gives cash prizes. This gives players opportunities to learn how to play DFS and at the same time an opportunity to win real money. Making it less stressful for new players that want to learn how to play, but don’t want to risk losing money. One of the important things to remember about daily fantasy sports is that you don’t need to be first place to win. The majority of the contest types, except “Head-to-Head” contests, rewards multiple players. Each contest you enter, you can click on it see the prize payout for that particular contest. Some contest like 50/50 guarantee a prize payout to the top half in the rankings. The prize pool always varies, so make sure to be smart and use this to help factor into whether you decided to enter a contest. Read below to see what makes DraftKings one of the best DFS providers. DraftKings over the years has worked on ways to separate players based on their skill levels to keep it enjoyable for everyone, from beginners to professionals players. This keeps the playing field more even for different levels of players. 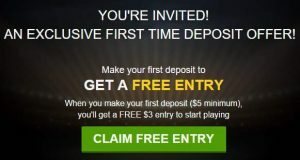 When you first join, you are entered into the Beginners level and can enter contests specifically created for new users. DraftKings offers “Beginner” and “Casual” contests that are the perfect place to learn if you are new to daily fantasy sports or find the concept intimidating. You will only compete against other new users who have played less than 50 games. Some of these will be free contests, making it perfect way for you to learn and giving you a chance to win cash prizes. When you click on players entered into a contest you will see No Badge next to their name, this means are “Beginner” or “Casual” players with less than 50 contests entered. No competing against higher skilled players. As you begin to play more you will eventually enter more contests, win more and win prizes. These are some of the factors that will qualify you into a players level, you will receive badges based on you level. No Badge Beginner / Casual Badge Beginners or Casual users will have no badge, this is anyone with less that 500 contests entered (as long as you have not qualified for a higher level badge). 500 Contest Badge When you play enter your 500th contest you will receive this badge (as long as you have not qualified for a higher level badge). 1,000 Contest Badge When you play enter your 1,000th contest you will receive this badge (as long as you have not qualified for a higher level badge). First off you will want to pick a contest in a sport that interests you. This will make it easier for you to concentrate on the basic strategies of Daily Fantasy Sports if you are new to these types of game. Next you will want to pick a contest type. This will affect the scoring as well as the prize pool. 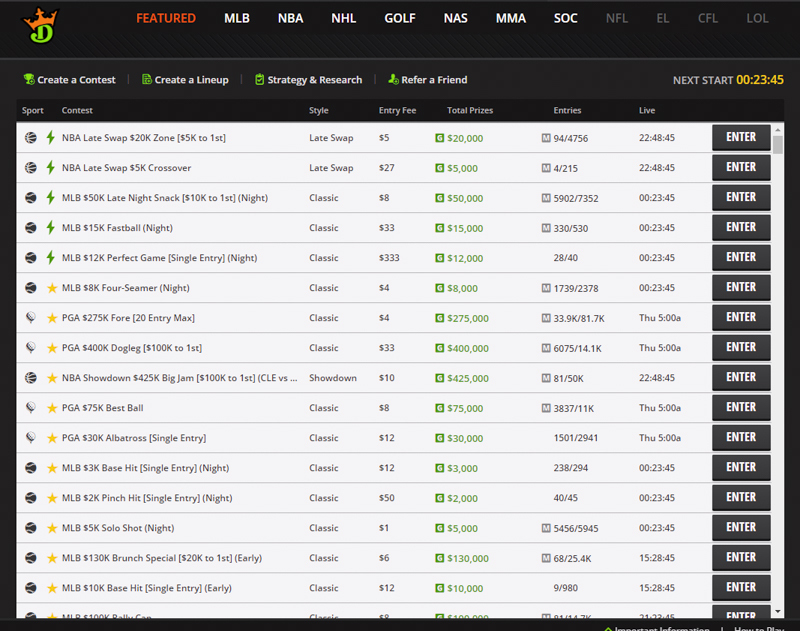 Featured Tournaments are the big daily/weekly contests at DraftKings. These contests usually have the highest amount of entrants, as well as a larger prize pool. Classic are salary cap contests that are 1-day/1-week in length. You will create a roster of 10 players based on position slots. Salary cap is $50,000. Head-to-Head are contests where you challenge a public contestant in the Lobby or invite a friend to a challenge. Winner takes all the winnings and glory. Leagues are private leagues where you compete against friends or coworkers. They are basically the equivalent of fantasy leagues, where can set up your own scores and rewards that you handle privately. Casual are contests against similar skilled with less than 50 contests entered. 50/50s are contests where those that finish in the top half win cash prizes. Double Ups are contests where those in the prize pool will double their entry fee. Satellites & Qualifiers are contests where you win your way into a larger contest. These larger contests offer a chance at even bigger prizes. Make sure when you click on the game, you read the description, roster and scoring rules as well as the prize pool payout. 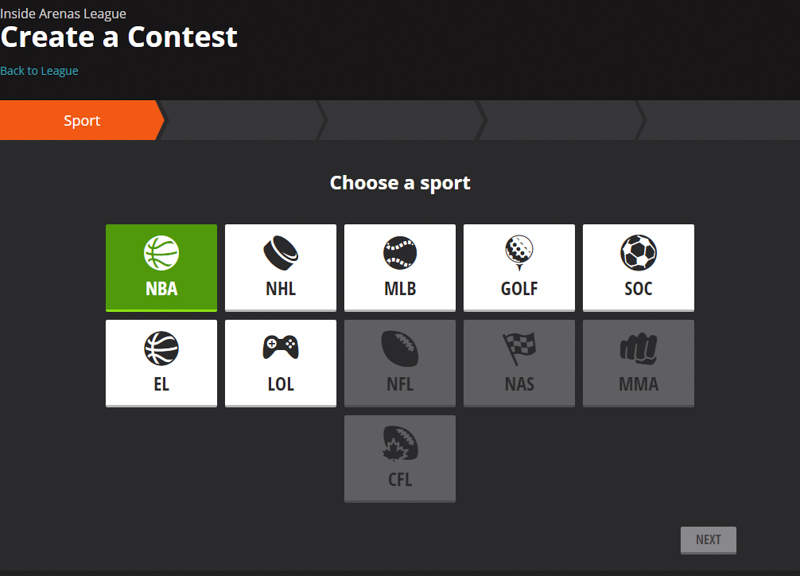 Classic are salary cap based contests that are most similar to the original style of fantasy sports leagues. You will pick your lineups based on specific 10 positions, without going over a $50,000 salary cap. 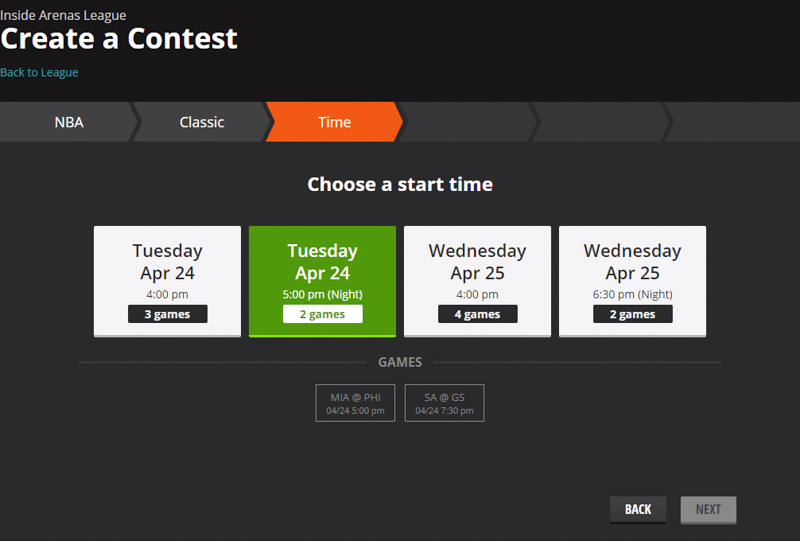 Players must be selected from at least 2 different games and limited to players in that contests’ game pool. An important thing to note is that the game pool will be from a game set for that day. Usually game sets will be broken into early games, late games, all games, etc. Tiers are different from Classic contests in that there is no salary cap. You will select players based on Tiers, instead of position. The amount of tiers varies based on the amount of games in a game set. Players must be selected from at least 2 different games and limited to players in that contests’ game pool. Showdown are salary cap based contests that are a variation to the original style of fantasy sports leagues. 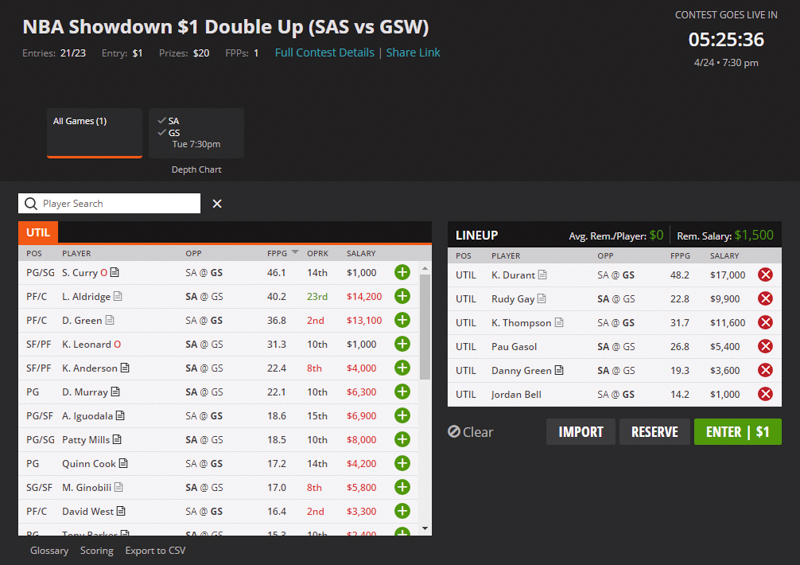 You will pick your lineups based on 6 FLEX positions, without going over a $50,000 salary cap. FLEX position means you can pick a player from any position. Players must be selected from at least 2 different teams in that game. An important thing to note is that the game pool will always be one game. Showdown Captain are contests thatvare exactly similar to Showdown contest, except that you choose a “Captain”. The captain will have a higher salary of 1.5x their regular salary, but they will also have the benefit of scoring 1.5x time their regular scoring output. NOTE: A contest’s GAME SET is the games that are eligible to choose players from to comprise your roster. At DraftKings you will create your line-up either by Salary Cap Roster or Tier Roster. This will depend on the type of contest you enter. Salary cap roster is similar to the classic way you play Rotisserie or Fantasy Sports Leagues in the past. You will be given a Salary Cap, usually of $50,000 at DraftKings. You will then need to select your player to fill a set roster positions or FLEX positions, this varies by sport and contest type. The players cost is usually a factor of how good a player is or performing at the time. Since the contests are daily (weekly like in football), a players cost adjust to how they have performed in their recent games. Your goal is to create the best roster while staying under the salary. This is where the fun comes in as you use strategy to fill out line-up that will score you the most points. Tier Roster is where you will select players to to fill up a roster based on their tier. So no need to calculate their value, just select the player you feel will perform best from that tier for the day. Now that your roster is set, you can sit back and watch the game. Not only do you get to enjoy the outcome of the game, you get cheer on each play as it can have an outcome on your daily fantasy sports contests. Adding more excitement to games from start to end. If you’re not able to watch, you can still get the excitement of keeping track of the score. Whether by DraftKings’ website, DraftKings apps or other sports sites. So sign up at DraftKings and start winning today! The start of the NFL seasons is near and DraftKings is offering their NFL Team Pick’em contest. For all 17 weeks of the season you will have the opportunity to pick the winners for that week. Best of all it is FREE and $1,000,000 is divided among the winners. You will receive 100 points for each win. If your score totals at least 800 points (8 wins) you will receive cash prizes. Even if you don’t start playing from the beginning of the NFL season, you can join at anytime. Weeks start on Tuesdays and you can begin selecting your team at 7am EST. If you’re interested in private fantasy leagues to compete with your friends or coworkers, DraftKings offers that as well. Making it easier to tracking your DFS and Fantasy Leagues in one spot. Creating a league is simple, all you need to do is need to do is go to the League tab and “add a League”. 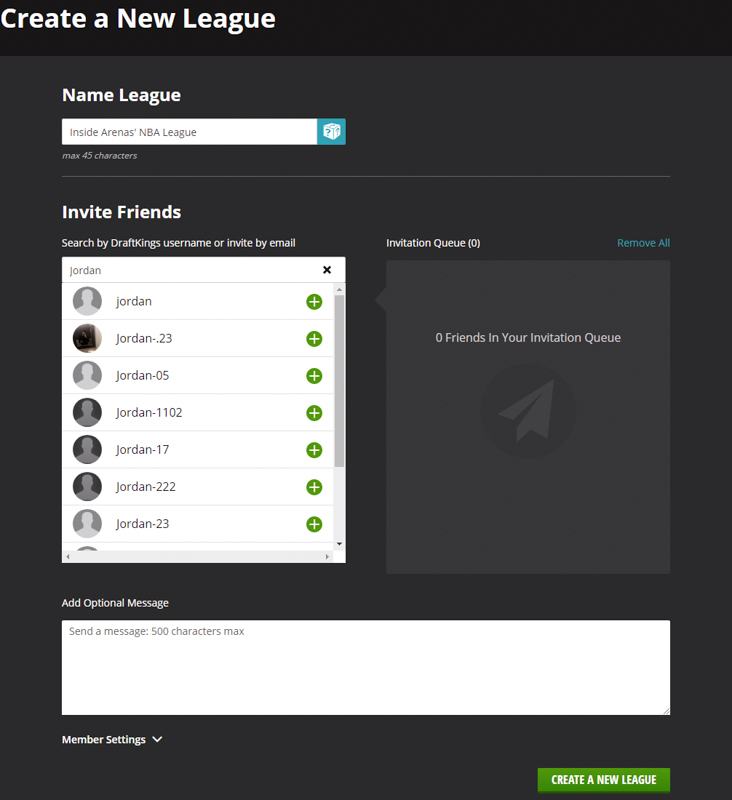 Next you create a name for the league and start inviting people. You can invite people that are already on DraftKings through their DraftKings ID or through their email if they don’t have an account yet. Next you will select your sport. Next you will select a game style. You can choose from: Showdown, Classic or Pick’em. 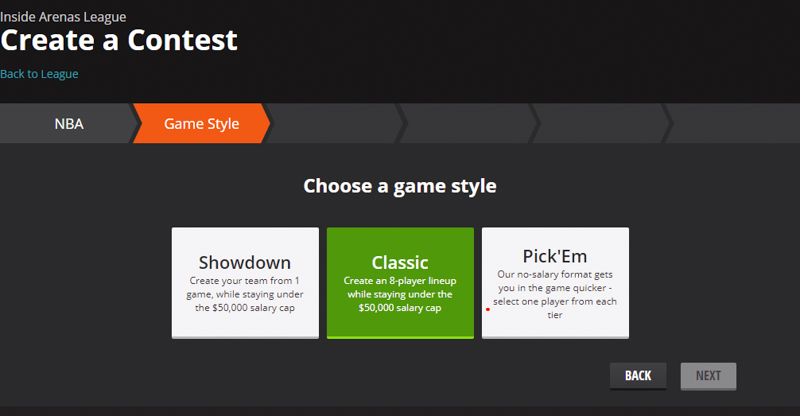 Showdown you create your team from one game using a $50,000 salary cap. Classs you create a 8 player lineup from a game set with a $50,00 salary cap. Finally, Pick’Em your create your team by selecting players from tiers, no salary cap involved. Next you will choose a start time for your league to begin. 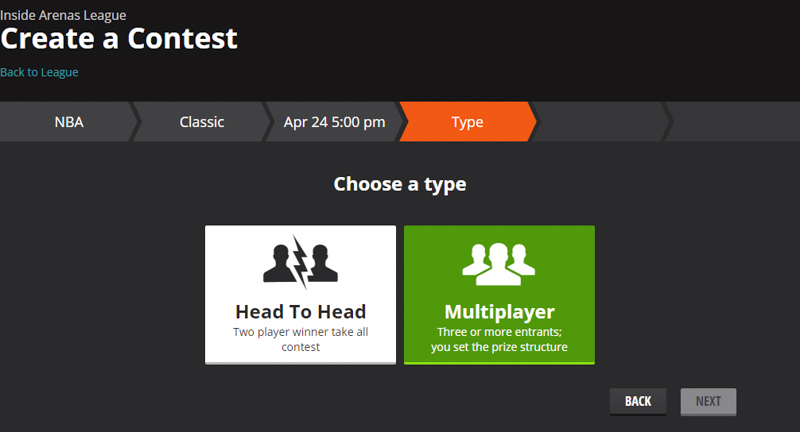 Next you will choose the type: Head-to-Head or Multiplayer. Head to Head is where winner takes all between 2 players. Multiplayer is for 3 or more players, with the option to setup prize structure. From there you will set up your league details. This includes size of contestants, entry fee, prize structure and contest name. You will see the confirmation page before creating. Press the “Create” button, it’s that easy. DraftKings recently opened up an “Invite Only” phase to the DraftKings Sportsbook in the state of New Jersey. As more states offer “legislation authorizing sports betting to obtain operating licenses,” DraftKings plans to allow access to the DraftKings Sportsbook once they are approved to operate in those states. To get updates, go to DraftKings to sign up for DraftKings Sportsbook updates. 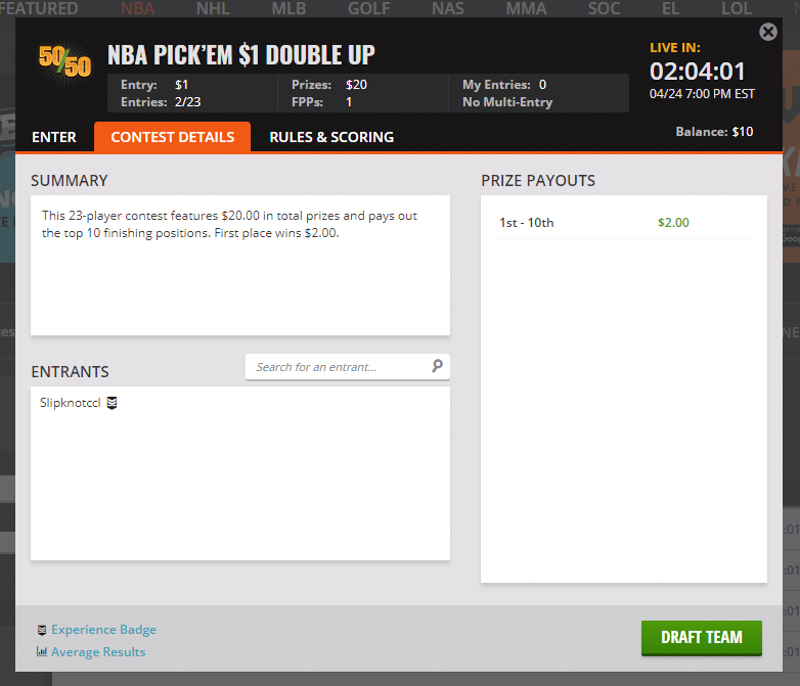 In the meantime, you can still earn cash prizes from playing Daily Fantasy Sports at DraftKings. DraftKings Mobile Apps (in the Apple and the Android/Google Play stores) are currently available in the USA, Canada and the UK. In the USA, you access the DraftKings Daily Fantasy Sports app, DraftKings Sportsbook app and the DraftKings Live app. 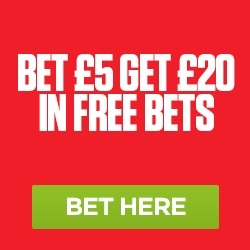 While the DraftKings Daily Fantasy Sports app is the only app available for download in the UK and Canada. For additional research, you can read another review of DraftKings here, courtesy of Fantasy Footballers.